Android 9 Pie has been out for almost 6 months; however, most OEMs still haven’t pushed the update to their devices. Vivo is often fairly slow to update their smartphones to the latest version of Android. 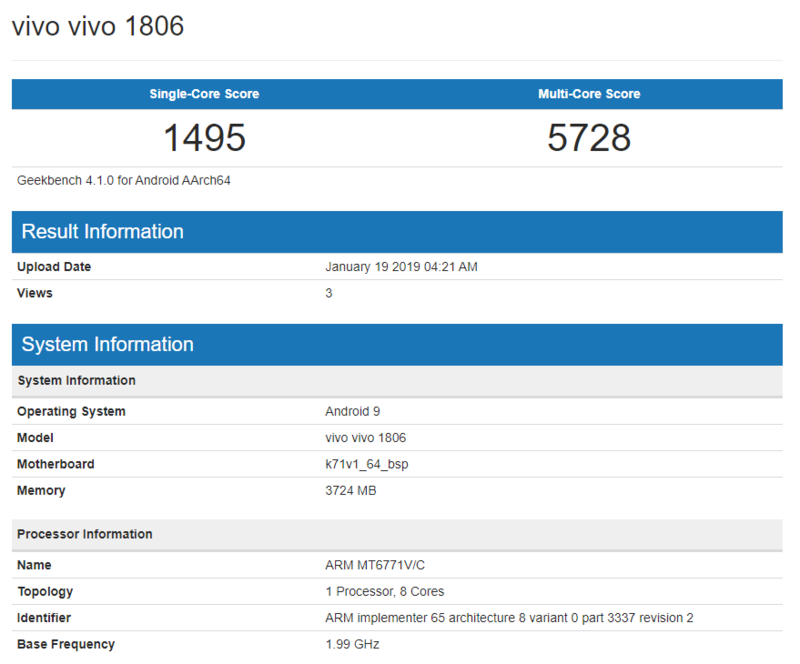 However, Vivo V11 users can breathe a sigh of relief since it seems the company is working on the Pie update for the Vivo V11 since the device has been spotted on Geekbench with the latest version of Android. This does seem to be legit since there are no custom ROMs available with Android Pie for the device hence, the chances of this being manipulated are fairly low. While it’s great to know that Vivo is indeed working on the Android Pie update for the device, there’s still no information as to when the company would roll out the update for the device. Vivo has not provided any Android Pie update roadmap for their devices which is why it’s hard to say exactly when the Pie update might be released. Nevertheless, we guess the update should be available in a month or two but our guess is just as good as yours at the moment.